The chatter over the last 5 -10 years has often highlighted how digital tools have become commonplace in many classrooms and a mere appendage for youth. Technology enhances the learning in a multitude of ways by making access to volumes of information relatively quick and easy. Many teachers report technology has transformed teaching and learning. Yet we wonder if our students’ interpersonal capabilities are being compromised given they readily resort to their devices to seek information with ease and speed. The number of face-to-face encounters and interactions appears be diminishing which causes concern. What strategies might we employ to improve our students’ communication skills through interacting with others? We feel the value of human connection is too important to ignore. We must be mindful of this and find strategies to ensure our learners have opportunities to engage in meaningful ways with others. Looking back over this past year, our school goal was to improve students’ communication competence with a focus on engaging with others. Our grade 6/7 students were engaged in Passion Projects, which were designed to improve students’ communication skills and their ability to connect with others. Through interviews, Skype conversations and field trips students were connecting with experts and mentors who supported their learning. Students reported that they learned how to communicate in a professional manner with adult mentors. One student wrote, “I learned that I need to ask deeper questions” while another reported, “I loved Face-timing and connecting with others who shared my passion”. In the upcoming school year, we will continue to offer a similar opportunity for students to explore a passion. These passion projects have been renamed Passion to Action as we hope to instill in our students the importance of taking action as a result of their learning. We discovered that fewer students took authentic action than we had anticipated; consequently, we will guide discussions using our school’s new inquiry cycle which will highlight the importance of taking action. The exhibition process provided another opportunity for teachers, mentors and parents to support students in improving their communication skills. Exhibition focuses on all five of the IB essential elements including the approaches to learning. These skills (communication, social, self-management, research and thinking) were taught, applied and assessed throughout this year’s exhibition Religion unit. Students engaged in meaningful conversations with religious leaders, docents during field trips and had a variety of other face-to-face interactions during their studies. These connections helped deepen their understanding of their central idea and lines of inquiry. At the end of their PYP journey, exhibition is a time when students are able to ‘shine’ not only in their demonstration of knowledge but also in their presentation skills. Mystery Skype was used several times this year with great success in our grade 2 classrooms. This educational game is played by two classrooms located in different parts of the world. The objective is to ask questions in an attempt to guess the location of the other class. Students develop their questioning skills throughout the process as they acquire more information and start to rule out certain parts of the world. Grade 2 students Skyping with a classroom in Mexico City used their knowledge of navigation and geography to pinpoint the location of their new friends. Do you live in the northern hemisphere? Do you have earthquakes? Do you live on a coast? This proved to be a great way for eight-year olds to develop their questioning skills. It was delightful to see how excited our students were to hear the responses from the students in Mexico. 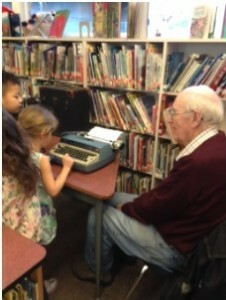 In their unit of inquiry on the past, kindergarten students worked alongside grandparents to analyze technologies of the past and present. They asked thoughtful questions as to how various contraptions worked and how they made life easier. Students also had wonderings about how these technologies improved over the years and why such improvements were made. Some great in-depth queries from our youngest students resulted! Outside the classroom West Bay students were also connecting and communicating globally. The international-mindedness group made connections with students in Liberia who were not able to attend school during the Ebola outbreak. After hearing about their plight, our students felt compelled to take action. They fundraised to ensure the Liberian students had a homework program, including books to practice their reading skills. Once back at school, the Liberian students created a thank you video and wrote letters to the West Bay team. Wonderful global action! Communication is far more complex in today’s world. Technology has opened doors by providing students access to an unlimited number of teachers in the worldwide web. Our hope is to ensure we enrich students’ learning experiences by connecting them to others where they can share stories, ask questions to build understanding and make meaning and develop the competencies needed to experience success. Let’s face it – technology will continue to improve and devices are here to stay. We need to prepare students to be confident learners, ones who are able to respectfully interact with others in an increasingly digital world. 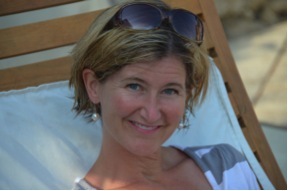 Janet Hicks is the IB Coordinator of West Bay Elementary World School as well as an IB trainer and evaluator. 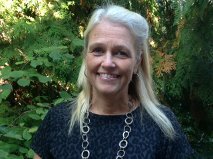 She also works as as inquiry specialist for the West Vancouver School District. Janet is passionate about inquiry and enjoys helping teachers and students realize the power of their questions. 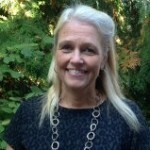 Judy Duncan is the Principal of West Bay Elementary and Cypress Park Primary, both IB World Schools located in West Vancouver. She is passionate about providing a learning environment where all students feel confident developing the skills and competencies needed to be successful in an every-changing world. Judy and Janet, you have inspired me to blog! What a wonderful way to share best practices, ideas, and knowledge. So nice to hear about all the wonderful happenings are your school. Thank you Shanaz for your supportive comment. We are all doing such interesting and innovative work in our schools yet we sometimes forget to pause and share! I am fortunate to work in a positive, collaborative learning environment. 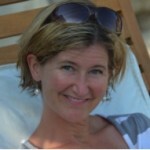 I look forward to learning from you when you post your blog in the near future!